Agway™ Natural Rawhide Chips 24 oz. 24 Oz. A light and tasty treat that naturally supports healthy teeth and gums, while helping reduce tarter and plaque buildup. 16 Oz. A light treat with a savory poultry flavor that naturally supports healthy teeth and gums, while helping reduce tarter and plaque buildup. 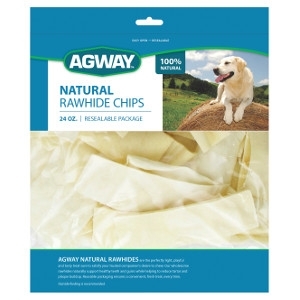 Agway™ Natural Rawhide Chips 32 oz. 32 Oz. A light and tasty treat that naturally supports healthy teeth and gums, while helping reduce tarter and plaque buildup. 16 Oz. 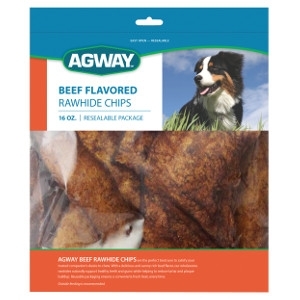 A light treat with a savory beef flavor that naturally supports healthy teeth and gums, while helping reduce tarter and plaque buildup. Agway™ Natural Rawhide Chips 16 oz. 16 Oz. A light and tasty treat that naturally supports healthy teeth and gums, while helping reduce tarter and plaque buildup. 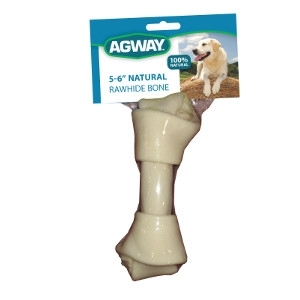 Agway™ Natural Rawhide Bone 5-6"
5-6 inches. Naturally supports healthy teeth and gums, while reducing tarter and plaque. 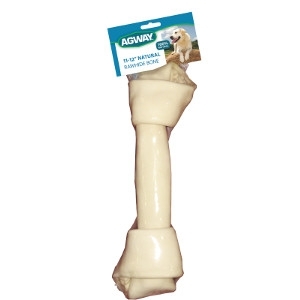 Agway™ Natural Rawhide Bone 7-8"
7-8 inches. Naturally supports healthy teeth and gums, while reducing tarter and plaque. 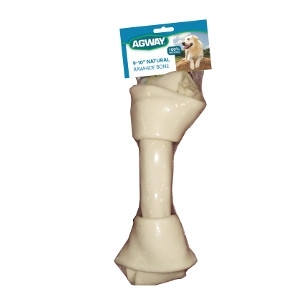 Agway™ Natural Rawhide Bone 9-10"
9-10 inches. Naturally supports healthy teeth and gums, while reducing tarter and plaque. 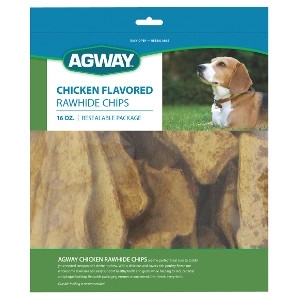 Agway™ Natural Rawhide Bone 11-12"
11-12 inches. Naturally supports healthy teeth and gums, while reducing tarter and plaque.